The last time I drove an AMG was insane. 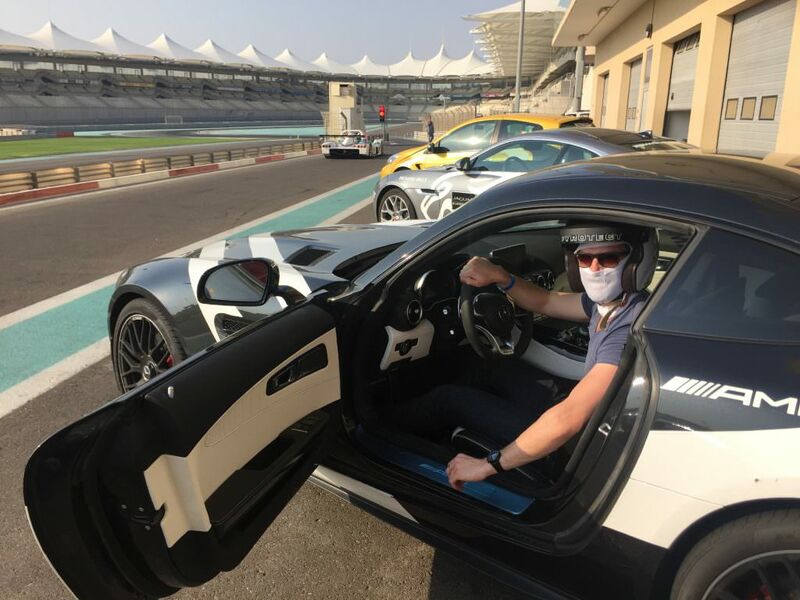 It was 44 degrees on Abu Dhabi’s Yas Marina circuit and I had half an hour with the Mercedes-AMG GTS. Being honest, the car actually didn’t feel that fast on the wide-open F1 track. It was an enjoyable experience but it doesn’t shake your nuts. 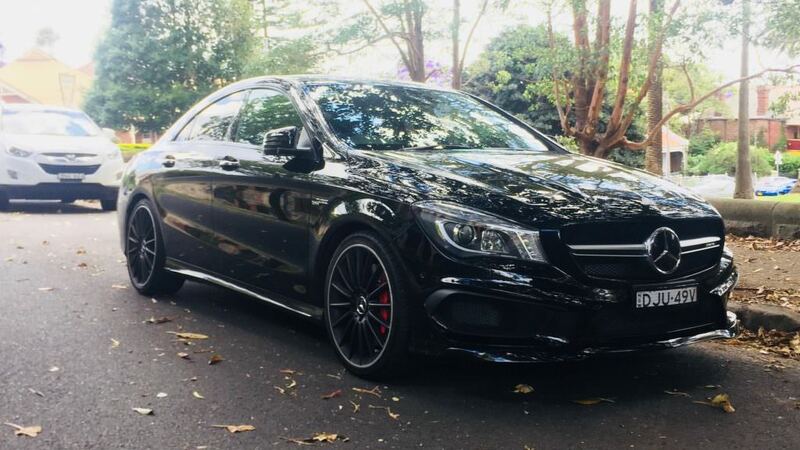 The CLA45 from DriveMyCar is a different story. Mercedes-Benz has an interesting personality. Whilst the entry-level A-class was a disappointment, the cheapest C-Class you can buy feels decadent for an entry-level model. 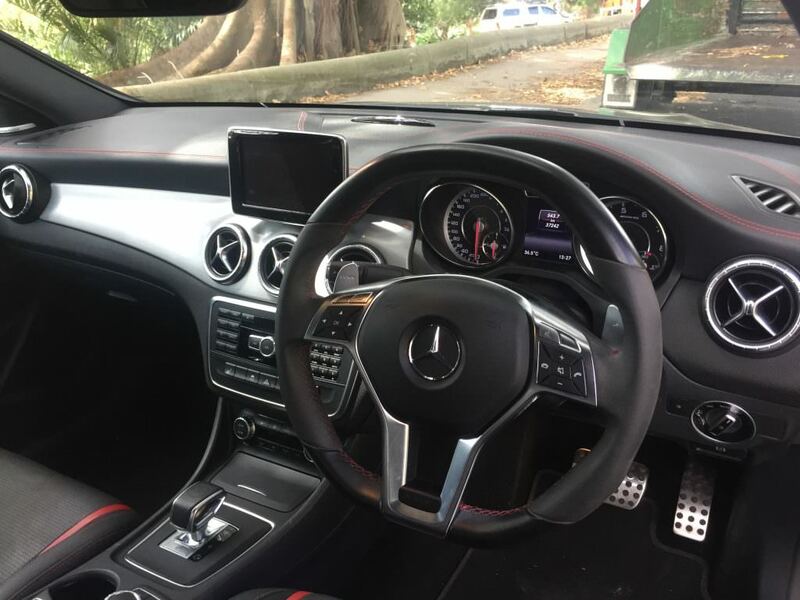 I was nervous in the days leading up to my rental of the CLA45 on a recent trip to Sydney. I’ve driven the CLA200 from Europcar and was disappointed with the build quality and lack of driving performance. It looked sharp, but couldn’t deliver an driving experience of substance. The Mercedes-AMG CLA45 looks meaner and reads like a psychotic drama on paper. A seven-speed dual-clutch cracks through 265kW and 450Nm from a 26psi boosted 2L engine. It feels like engineering payback towards someone who crossed the AMG engineers. I had seen the CLA45 driving around for a few years now. The occasional pop and fart on gear changes under acceleration intrigued me. I couldn’t decide if I like it or loathed it. The internet didn’t help to settle my curiosity. Unlike the big brothers who sing with a 4L V8 baritone, the CLA45 sounds like a joke when recorded from an iPhone and posted to the world of cruel comments on Youtube. 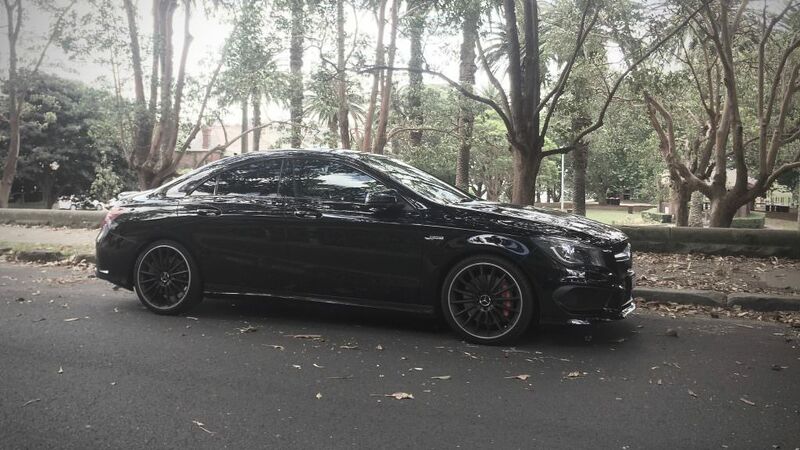 Finding a Mercedes-Benz AMG for hire in Sydney is quite a feat. That is to say, it’s almost impossible. The big rental car companies pat themselves on the back for having ‘prestige’ ranges, but only provide the base model. Whilst you can pretend to be wealthier to your jealous friends, the premium rental rate doesn’t seem worth it for society at large. Readers of this blog will appreciate the effort for introducing some European variety, but hope for real driving cars. It’s a cruel reality that North America and Europe have such broad range of Driving Cars for a reasonable rental price tag. Welcome back DriveMyCar. I am excited to see the growth of DriveMyCar in Australia. The name may lead you to picture rocking up to someone’s house and leaving with their car. This is true for some of the cars you’ll find on their site. Although, the cars I look for are typically managed by the DriveMyCar team. This means heading to their warehouse and chatting with their team on either side of the rental. Every experience I’ve had with the DriveMyCar team has been encouraging and comforting. They genuinely want things to go well, and will help to ensure you and the owner of the car are happy. It’s a mean looking car. From the front, you’ll think it is an A-Class. 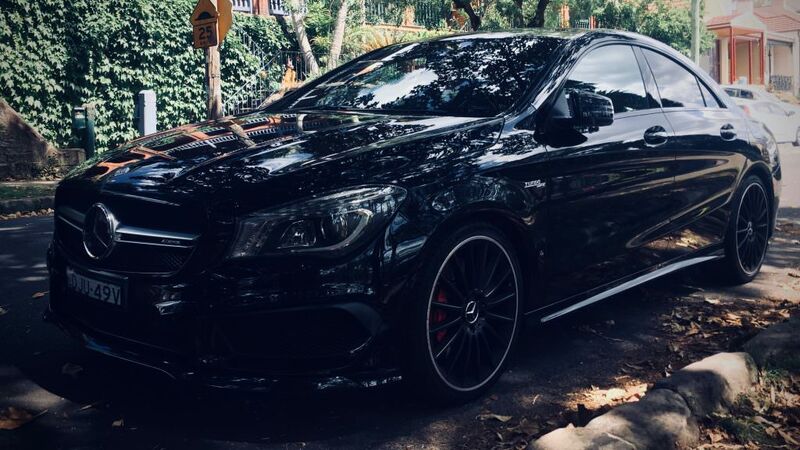 Being generous, we can say it looks like the A45 AMG. From the side you’ll notice the huge brakes, flared front arches and aggressive lines from the eye to rear wheel arch. The Mercedes-AMG CLA45 could be aptly described as an angry teenager. This analogy is going to stick. The character of the interior is very Mercedes-Benz. Racing red seatbelts and contrast stitching set the stage, but the build materials remind you that this car is half the price of the big brother C63. In an interesting choice of family planning, the ~$90k CLA45 has a sibling rival in the Mercedes-AMG C45 coming in ~$100k. Despite the different engine and drivetrain, I can’t help but lust for the C-Class interior when sitting in the CLA. Jumping in the CLA45 and driving through the city is quite a non-event. It’s a little jerky with the seven-speed double-clutch transmission, but nothing a driver would worry about. It’s a subtle reminder that the open road is not too far away. Power delivery feels very normal when driving like a first-class citizen. There will be a bit of noise if you drive a little harder between traffic lights, but like that moody teenager, people will ignore you. Well, they will ignore you until you change the into Sports or Manual mode and play in the 5,000rpm sandbox. It’s a little hard to not get sideways looks in the Mercedes-AMG CLA45. First gear, manual mode selected, foot down. You will rev-out first gear quickly, although it’s the transition to second that you’ll hold your breath for. Without removing your heavy right foot, slipping to second gear releases a huge bang. Same again between second and third. You’ll smile, others will frown. Bonus points for finding a tunnel. It’s true, driving between lights is a necessary evil of leaving the city towards greener pastures. Making it enjoyable is a moral obligation. There’s no need to treat the car, or the NSW traffic laws inappropriately, yet this will be your first introduction to the CLA45. Make it count. You could only drive the Mercedes-AMG CLA45 around the city. If you are a city-dweller, some city-driving might be enviable. It’s only when you hit the tight and twisty corners where you’ll unveil the CLA45’s true spirit. Unlike the big brother C63 AMG, terms and conditions do apply. The common criticism of many great driving cars is you only feel the experience beyond legal speeds. The CLA45 rebuts this assertion. 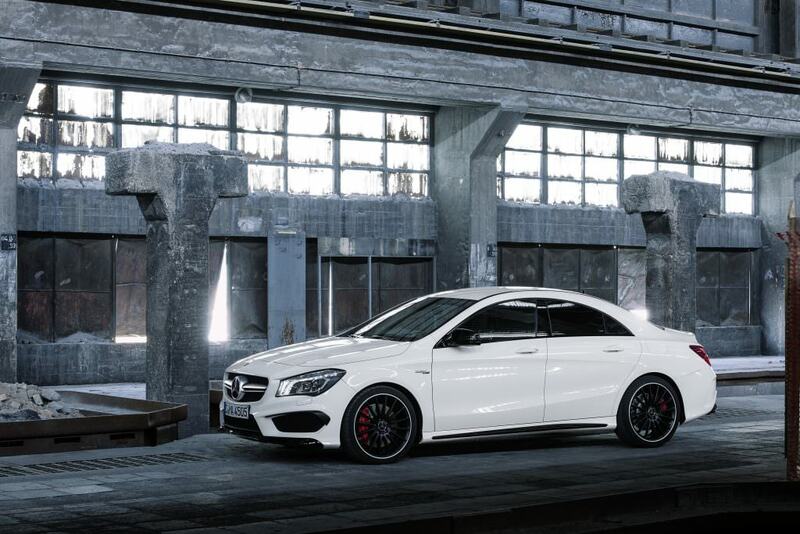 The CLA45 performs fantastic under 100km/h. Pressure-induced acceleration and rapid gear changes, screwing power into all four wheels, is ideal for tight roads where you keep under 100km/h. It’s less impressive above this. This isn’t such a bad thing, right? There is a ‘launch control’ feature, although I couldn’t figure it out. After watching a few youtube videos, most which were microphones mounted to the tinny engine revving at maximum torque (ummm don’t do that), I consoled that it wasn’t going to be the killer feature to describe this car. The suspension is firm and it soaked up Australian country road bumps without a hitch. The 4Matic drivetrain ensures go-kart-like performance on corners (again, below 100km/h), although when you add steeper hills or more passengers into the mix, you’ll notice the turbo lag. It’s a bit hard to tell your mates that the car works much better when they aren’t in it. What they have achieved with a 2L engine is clearly remarkable. My criticism is at the edges of what you might dream of doing with this car. Unlike the moody teenager, it never complains. When you hire from DriveMyCar, you’re generally looking at a minimum 7-day hire. Whilst this might be a show-stopper for some trips, if you can make it work, you’ll get a great deal and much more variety than a typical rental car company. You will pay for full days, regardless of pickup time. For me, this meant picking up 9am Friday morning and dropping back a 5pm Thursday. Keep this in mind when planning. You can check out this specific car on DriveMyCar here. The default excess for this car was $6,000. DriveMyCar takes a $1,000 deposit when you rent the car and it is returned within a week. This is not common for the traditional rental companies, but I tend to feel more comfortable with DriveMyCar in handling this than layers of branch and head office bureaucracy at the mainstream rental providers. Why only cover $4,000 and retain an excess? For me, the extra coverage was to cover unfortunate circumstances (someone opens a door in the car park and leaves) and the stupidity (I scrape a rim parking a car I’m not familiar with). It wasn’t worth paying the incremental amount to cover a case of a write-off, nor to reduce excess to $0. You can read more about my guide on rental car insurance here. Ready to drive an AMG?